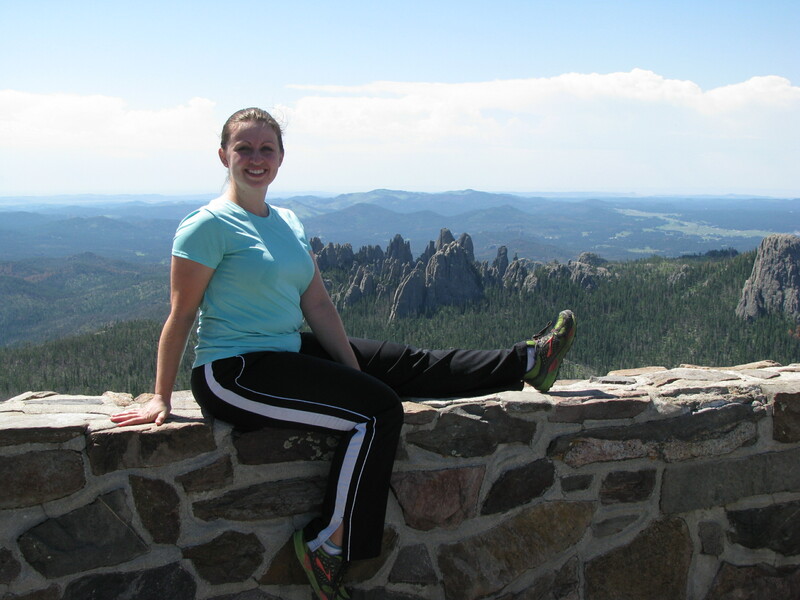 Climbing Mountains in South Dakota! I’m typing this blog from around 8,500 feet over the South Dakota Badlands. My friend Tim is piloting his Cherokee 6 towards home and his wife and my husband round out the crew on board. We’ve had an outstanding long weekend in South Dakota and it’s clear to me looking out over the wing that it’s all thanks to taking the road less traveled. An adventure vacation doesn’t always mean going to an exotic location, but if you’re lucky enough to go somewhere different, my suggestion is to do your research and find the little gems that make a place special. 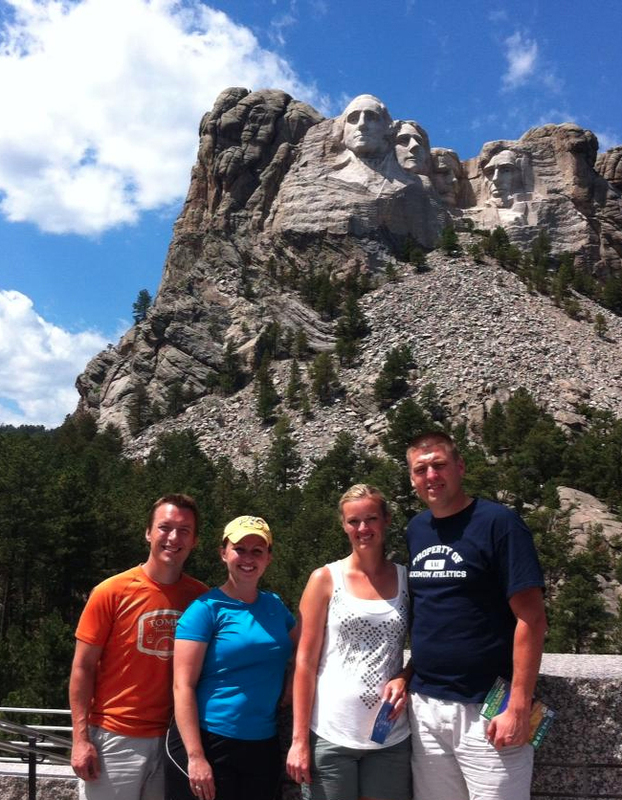 Day one in South Dakota served up the obligatory visit to Mount Rushmore, but day two started bright and early in Custer State Park near Sylvan Lake at the base of Harney Peak. 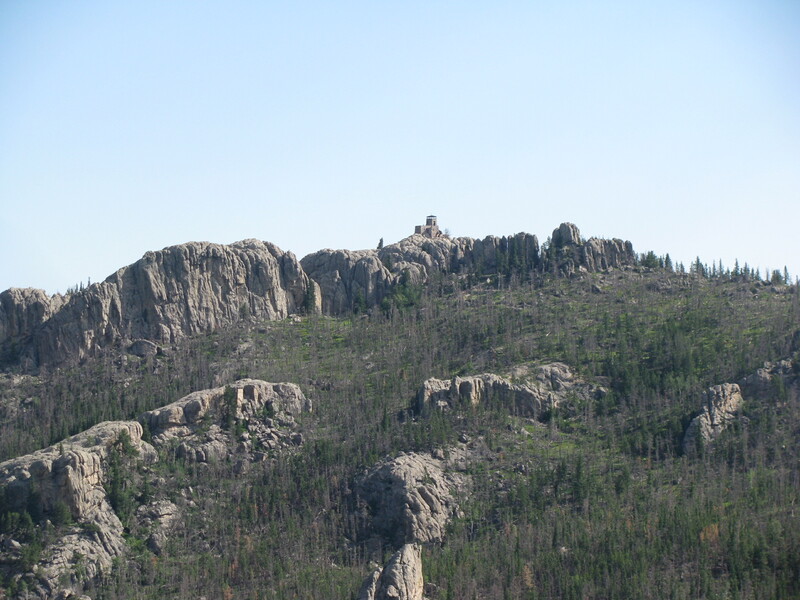 Harney Peak is a a mountain in the Black Hills that tops out at about 7250 feet; it’s the state high point of South Dakota as well as the highest peak east of the Rockies in the entire USA! 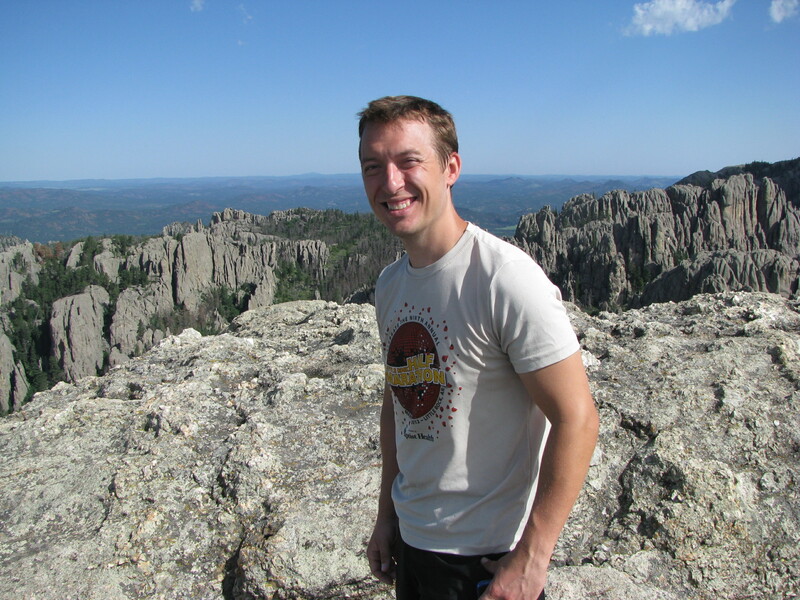 There is a fire lookout on top of the granite mountain that on a clear day gives a bird’s eye view of the entire Black Elk National Forest; that was our destination. Besides being a high point, Harney is also a place of special significance to the Lakota Indians. Their Chief Black Elk was on the mountain as a child and had a vision of the “great hoops of the world” which he recounts in the book Black Elk Speaks. I highly recommend the book for a read. 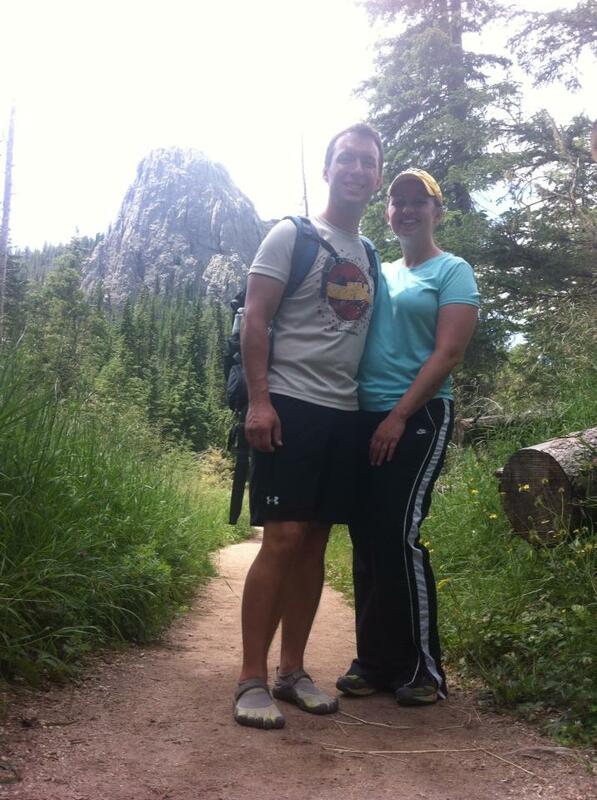 When we planned our route we decided not to take the most commonly hiked trail and opted for trail #4. 4 is a more rugged path that traverses wildflower meadows before turning rocky and passing amazing granite formations like Little Devil’s Tower and the Cathedral Spires. The meadows in the early morning were lovely beyond words. Gray jays and juncos called out over the grass, a few mule deer and some marmots ran around just off the trail. The meadow was in full bloom with familiar plants like fleabane, dandelions, and black eyed susans, along with dozens of flowers in dazzling colors whose names I didn’t know. We moved along at a pretty good clip and came to the intersection leading to Little Devil’s Tower before the dew was off the grass. 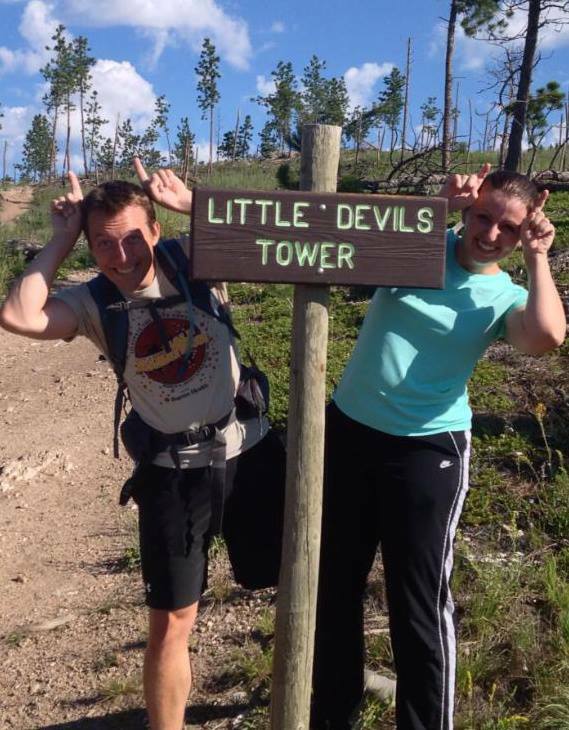 Little Devil is so named because it resembles the famous Devil’s Tower in Wyoming. Little Devil is just shy of 7000 ft tall (making it almost as big as Harney Peak) with about a 1000 foot prominence off the trail we were on. The climb to the summit of Little Devil was a rocky and steep boulder scramble which included a fun section where we needed to wedge ourselves between two huge granite slabs and shimmy up a few dozen feet. We were richly rewarded for the tough scramble up Little Devil because the clear blue sky offered us impossibly beautiful views of the park. To the west we could view the famous Cathedral Spires and to the north, we could see our second destination: the lookout tower on Harney. We snapped photos, soaked in the view, had a snack and were on our way. The glorious view from atop Little Devil’s Tower! The trail then wound around the Cathedral Spires and through some lodge pole pines for a few miles before beginning to really climb. 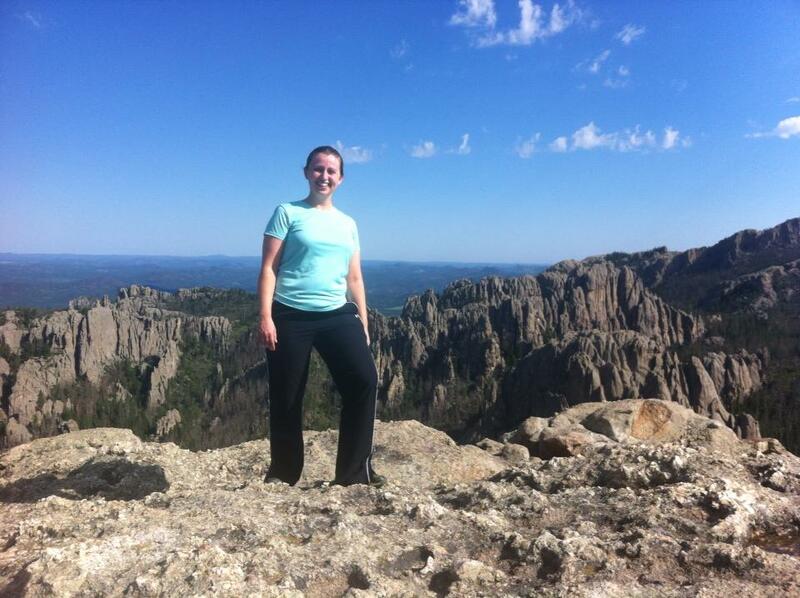 A section of steep switchbacks with feldspar scree was the final obstacle before Harney Peak Lookout came into view. Adventure Foot on the lookout! The lookout was crammed with people who had taken the shorter trail to the top. It was neat to be there at the top of the Black Hills, but our group agreed that Little Devil had been a bit more exciting since we got to stand on it alone. Still, the vista was gorgeous and we could look back at Little Devil and see how far we’d come. Pretty amazing to have the two summits all before noon! As it is with all summits, we had to leave all too soon. We eased back down the common trail. 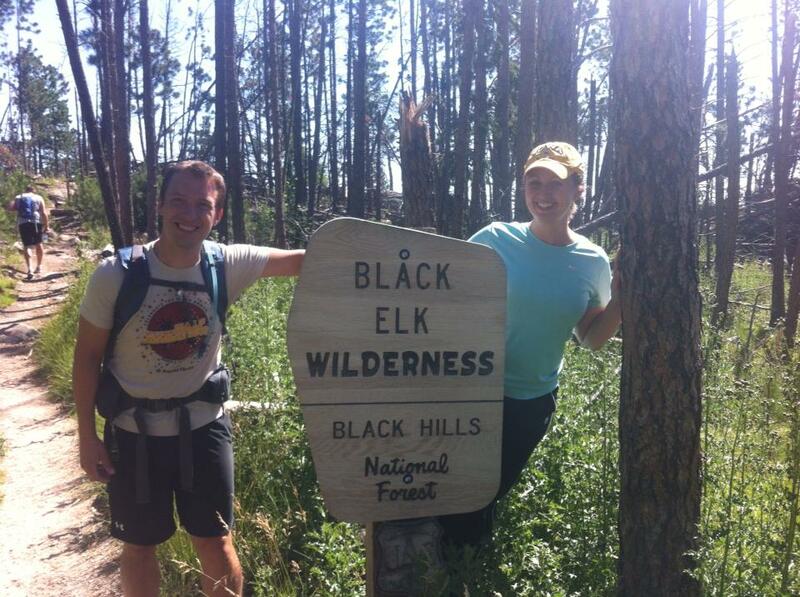 Trail #9 is less rugged and is down in the forest section, so views weren’t as pretty as they had been on #4. 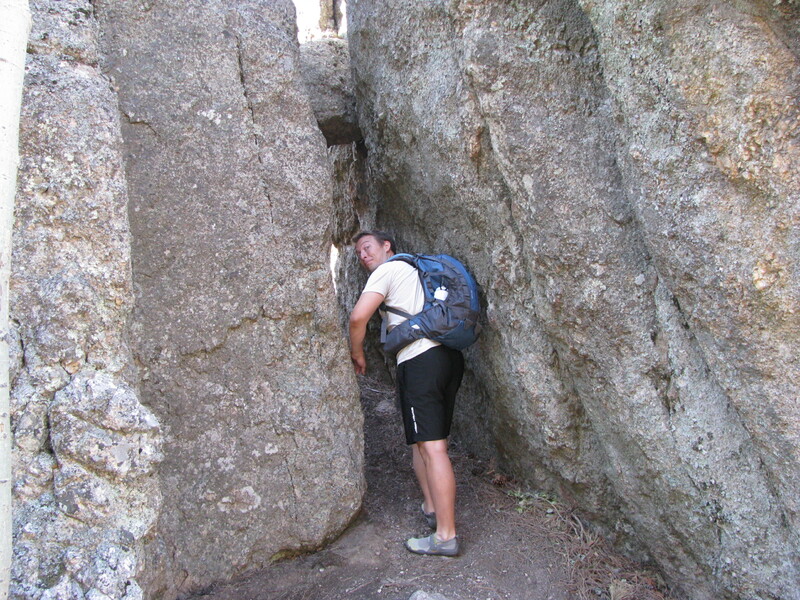 Occasionally though, we’d round a corner and be greeted by an enormous chunk of granite we didn’t even know was there! As we reached the bottom of the mountain, we could see an afternoon thunderstorm firing up over the ridge and were happy to be back down at the lake. Want to know what's new with Adventure Foot? Click to receive notifications of new posts by email! You can unsubscribe at any time! I Need a Hero! Persied Meteor Shower this Weekend! It’s a Video Blog about Bike Safety! This page and all its contents are original and belong to the listed author or Laura Sievert if no other author is listed. By all means, share, print or discuss this blog and its contents, but remember you are both karmically and legally obligated to give credit to the website/author and link back to the original post whenever possible. Thanks for making the web a friendly place for a fledgling writer!